Product prices and availability are accurate as of 2019-04-11 17:18:52 EDT and are subject to change. Any price and availability information displayed on http://www.amazon.com/ at the time of purchase will apply to the purchase of this product. 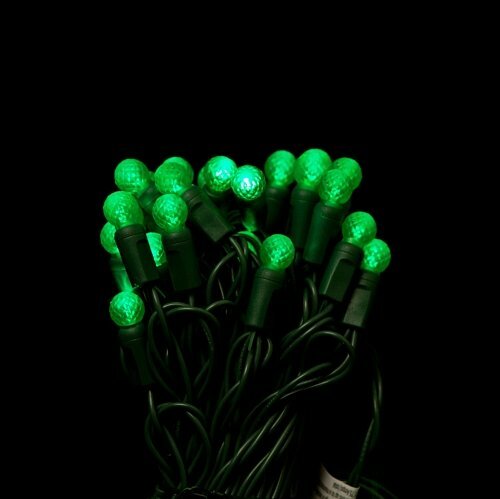 (50) Green round Lens/Bulbs 25 ft. 6" Spacing with 4" lead and tail plug (4*6*4) Full wave Rectifier (Flicker Free). Berry size impact resistant faceted Lens. 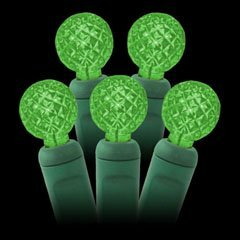 Connect up to 30 strands.